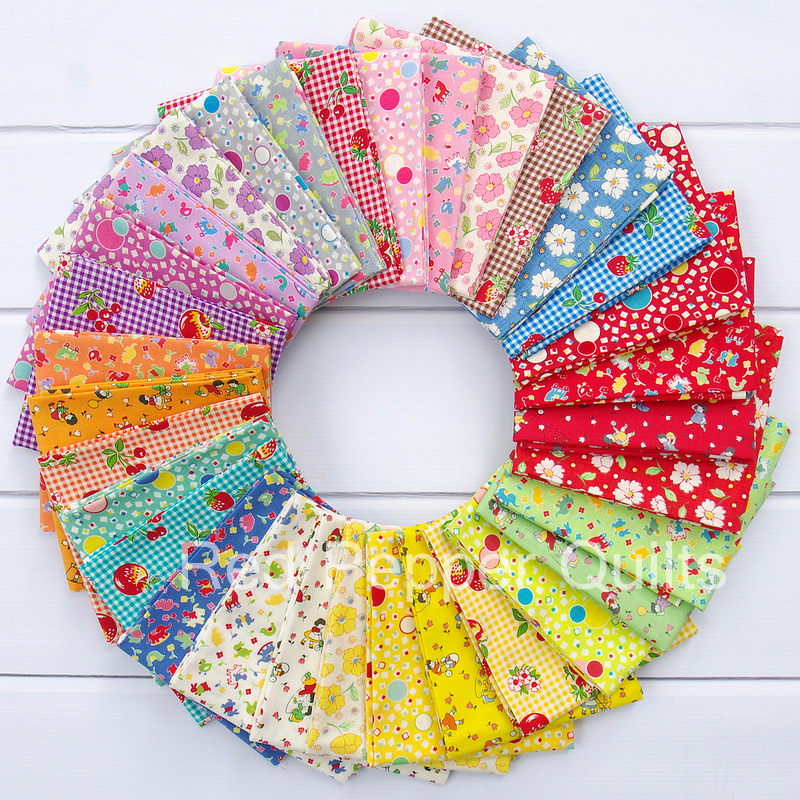 The latest Retro 30's Child Smile collection (Fall 2015) by Lecien has arrived in stores and has once again been welcomed as an addition to my fabric stash. 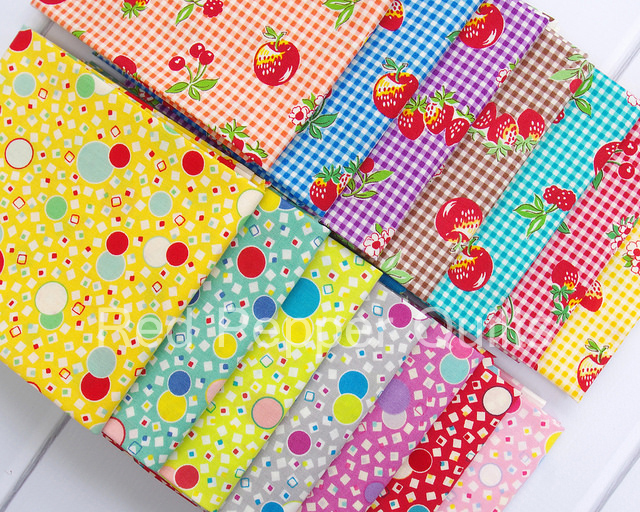 My love for these small scale reproduction prints is seemingly never ending, for not only do these background colors blend well with my stash, the designs are super cute, playful and reminiscent of childhood. Glorious color! The collection features just five clever (and adorable!) 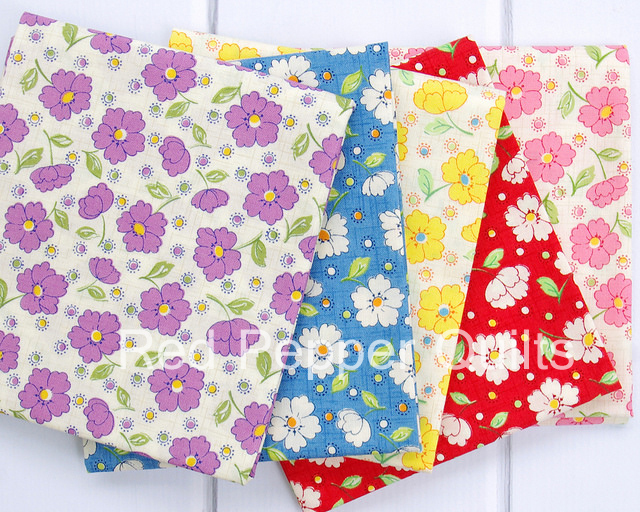 designs in up to to eight different colors - colors we've come to associate with quilts made in the 1930's. 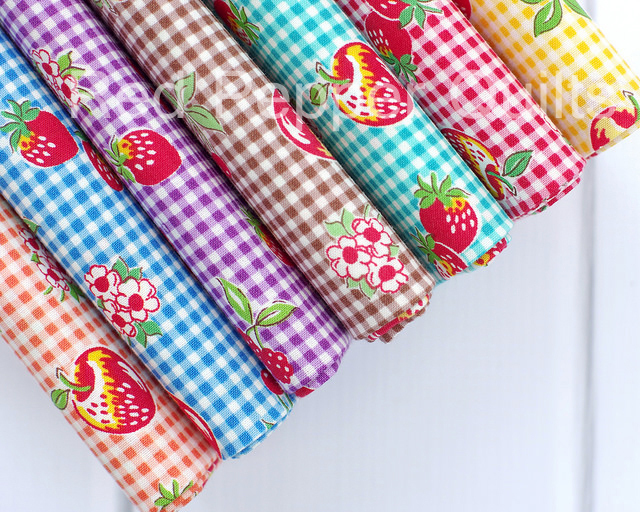 Designs include dots, children at play, classic cherries and berries, and a floral print which is my pick of this collection (pictured above). Expired coupon codes and sales/promotions have been deleted. I have several pieces of this line and am trying to restrain myself from indulging in more. It's a fabulous group! The prints really dance and the colors, while traditional for this style, are in some cases amped up a bit, almost electric. I'm in the middle of several projects but can't wait to use them in some new pieces after the holidays! Thank you! I'm waiting for the bundle and I can get it in fat eighths!! Thank you!!!! 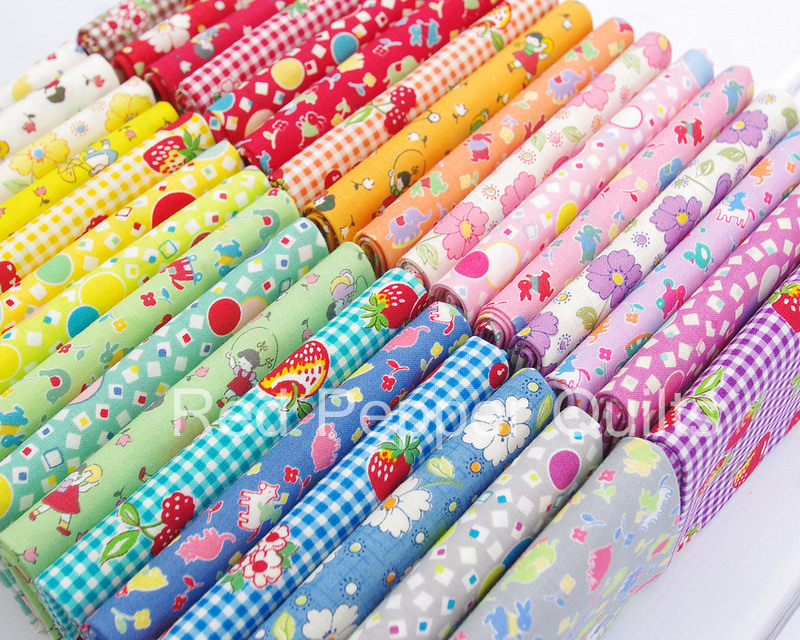 What beautiful fabrics these are! I have a couple, but would love them all. So bright and fun. Beautiful! I may have to buy these gorgeous little FQ!